Last year for Halloween you might say that III and I were posing as zombies…not because we are big fans of Walking Dead, but because Chickadee was only 12 days old. I’m sure a lot of you know the exhaustion and lack of sleep that come with the first few weeks/months of baby raising, so it seems like a perfect costume for new parents. Needless to say we really didn’t celebrate Halloween; we were too focused on survival. This year it’s a new ballgame! Chickadee just turned one and we already have her ladybug costume laid out and ready to go. We plan on pulling her around in a wagon and frankly just showing off her cuteness :o) So Halloween is in full swing folks and we can’t celebrate without a few “spooky” treats! 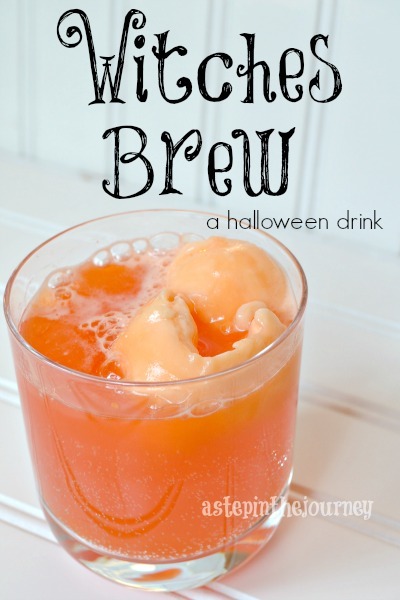 Today I have two Halloween drinks sure to get everyone in your house in the Halloween spirit. 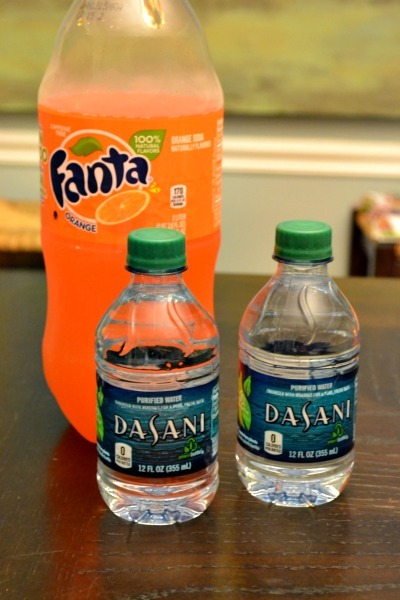 While grabbing a few must haves at Walmart this weekend I also picked up some Fanta Orange and the cute small bottles of Dasani water. First up is Witches Brew. This recipe is seriously soooo easy and perfect whether you are preparing for your child’s class or a huge neighborhood Halloween bash! 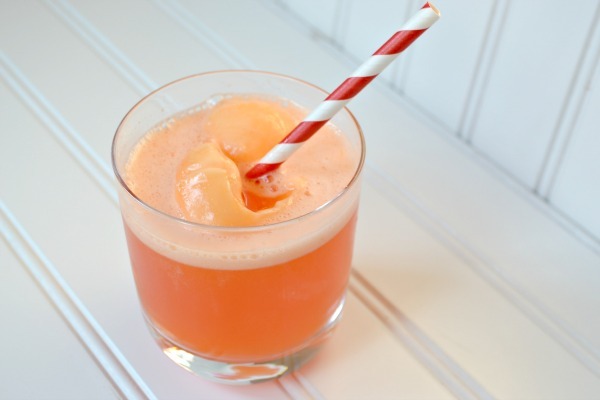 Along with the Fanta, you’ll also need to pick up fruit punch & either vanilla or orange sherbet ice cream. A simple recipe perfect for your next Halloween bash! 1. 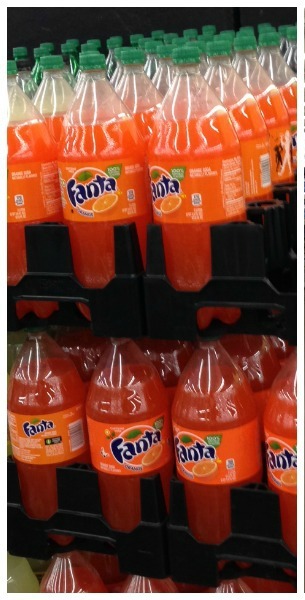 Fill your container/glass halfway with Fanta Orange. 2. Add fruit punch until the container/glass is 3/4 of the way full. 3. Top with several scoops of orange sherbert. 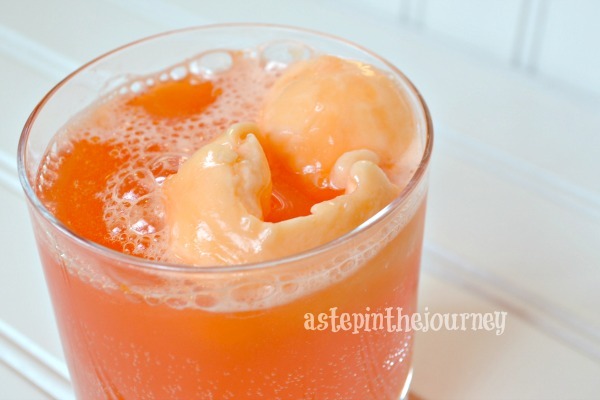 When you add the orange sherbet the punch will begin to fizz and eventually foam. It will continue to do so as the ice cream melt adding to the “spookiness!” It’s quite tasty! Also since it’s made with Fanta, it’s caffeine free, so feel free to serve it late at night! If you aren’t up for dealing with mixing and dealing with ice cream I have a NO FUSS recipe for you! Dasani bottled water, or as a Halloween party host would call it, Spider Cider. Perfect to hand out at the party or to thristy trick or treaters! Simply cut out and attach with tape. You can download the labels here. You can follow along with Fanta on both Facebook & Twitter. Dasani is active on Facebook & Twitter as well! 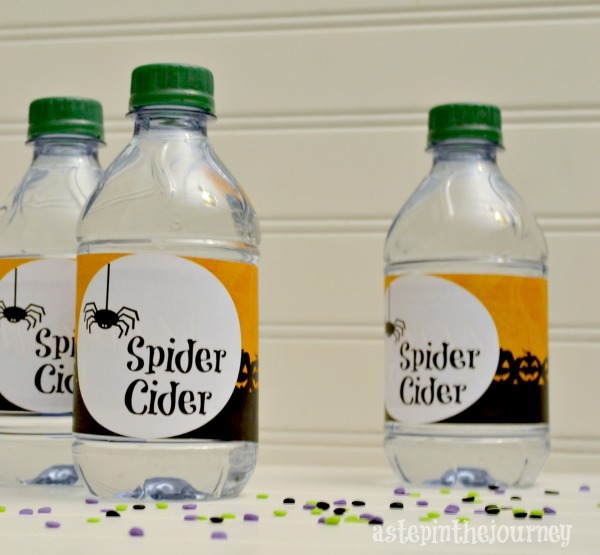 Thanks for sharing your ‘spider cider’ water bottle labels. I think I’m going to use a few for my son’s party this weekend.